Technology can create as many problems as it solves. This is especially true with sensor technology and all of the new smart devices in the internet of things, or internet of everything as some are now referring to it. The early adopters of these technologies are finding some value in using the products, most of which come with their own app to control the device. Those with more than one smart device wind up with a cluttered set of applications, much like a coffee table filled with remotes to operate your version of a home theater. These applications have no direct connection to one another, even if a user would benefit from such a connection. There is a need to connect all connected devices. Look at all of those devices! Most of them are glucose monitors but Infometers is also working with blood pressure monitors and other sensing medical devices. To connect all of these is no easy feat but it is exactly what Infometers is doing and more as you can see by the sample screens of their software. Infometers provides physicians and researchers the ability to launch remote patient monitoring services (RPMs) in a world where there is an ever increasing number of medical devices. As insurers cover different devices, physicians must adopt to using the various medical sensor devices selected by their patients. “We see hundreds and hundreds of sensor devices coming out in the next few months” Infometers CEO Akhsar Kharebov told me when we caught up for a chat at Hacker Dojo in Mountain View, CA where Infometers is located. While an individual patient may use one, possibly two devices, their care providers now find themselves interacting with all of these different devices in order to provide personalized care and increase patient satisfaction. They need one place that collects and analyzes the data that is literally spewing from hundreds of devices. They need to connect all of these connected devices. Infometers is working on a major pilot with a university in San Francisco and has several other deals in the works. Kharebov sees Infometers as well positioned in the space. “Infometers provides very scalable software to connect all patient devices,” he said. 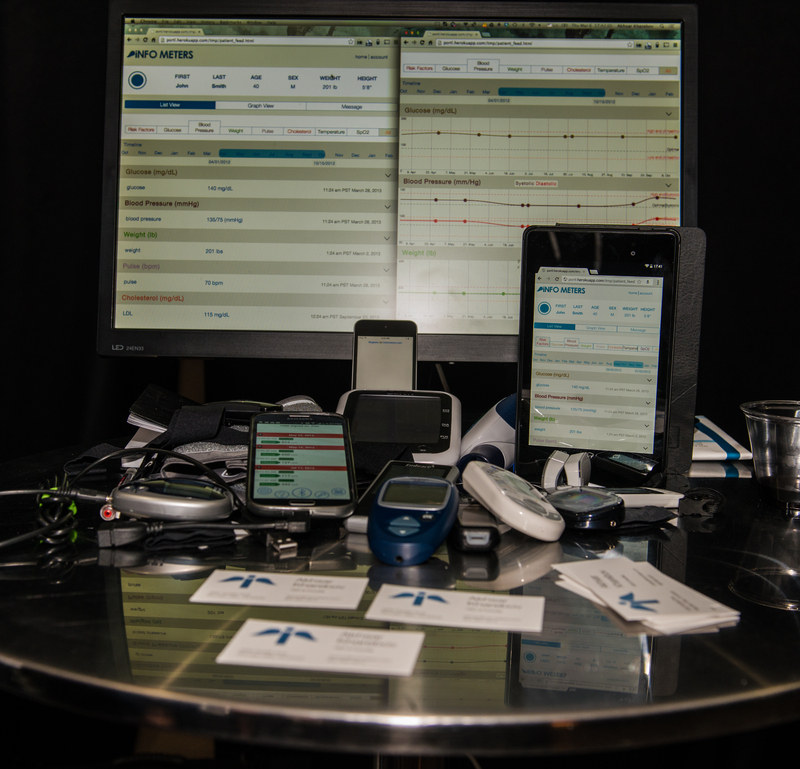 Scale is important when dealing with thousands of patients and their device data. Whether you are a patient, doctor or researcher, remote patient monitoring with Infometers is technology working for you. Infometers was acquired by Validic on July 8, 2014. Visit https://validic.com/ to learn more.